At its meeting held earlier this month, the GST Council approved tax cuts on nearly 200 items in the 28% tax rate slab. The rate cut is applicable as of November 15, after the Centre and states issued notifications for the same. The Prime Minister is also positive about the benefits these changes will bring for the people, and says this will toughen the tax regime too. Here is the list as per the Central Board of Excise and Customs (CBEC) notification, with a focus on the items related to the Food & Beverages (F&B) industry. Flour of potatoes put up in unit container bearing a brand name. Even though the tax rates have been slashed on all these food items and on the GST rate for restaurants (down to 5%), many eateries are still not passing on the benefits to their end customers. Many restaurants are in fact raising menu prices, quoting the govt’s decision to withdraw credit for taxes paid on raw material and rent. 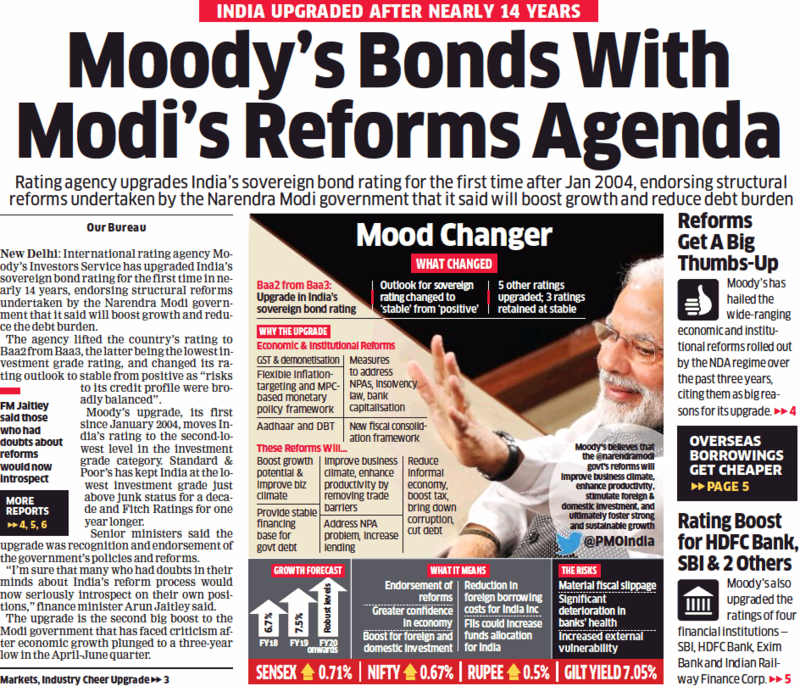 Moody’s said demonetisation and GST, along with other measures, will help reduce corruption, formalise economic activity, and improve tax collection and administration.